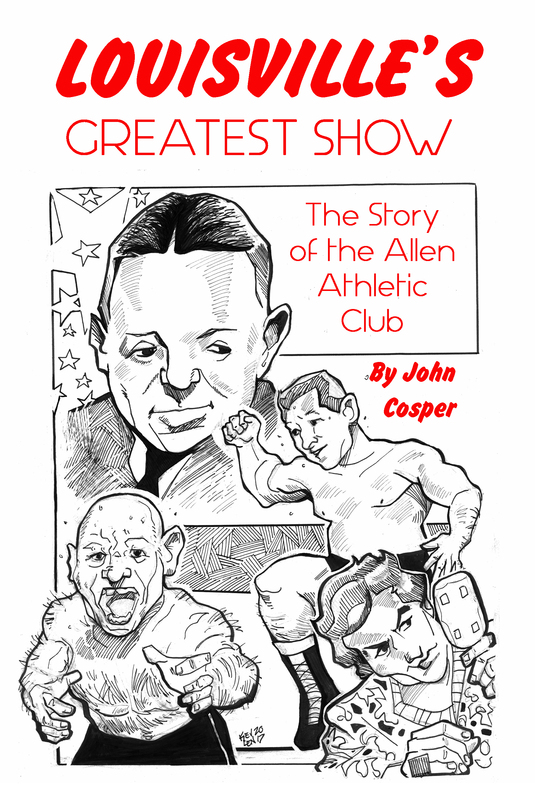 I’m working on a new project that will dive deeper into the golden age of wrestling in Louisville, 1935-1957, when the Allen Athletic Club was the hottest ticket in town. 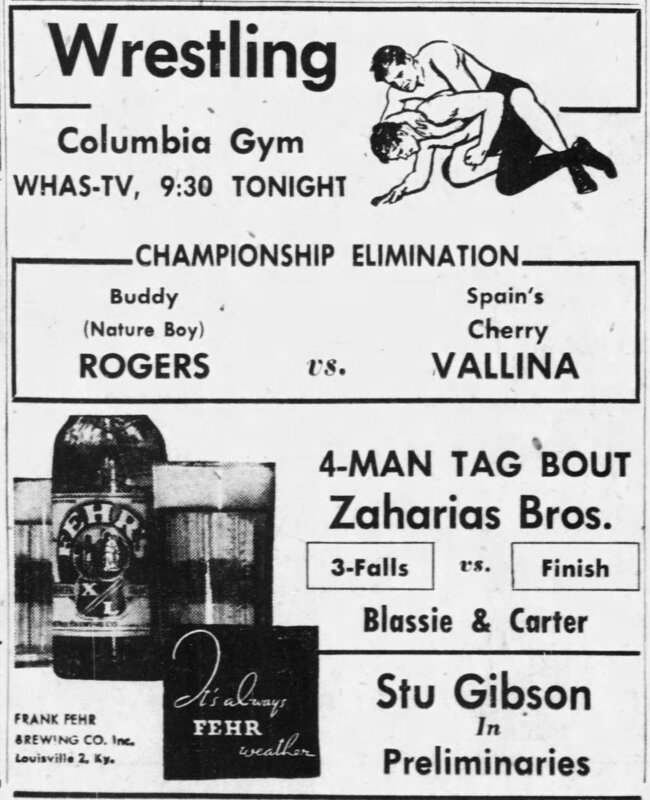 Louisville hosted the top starts of the day – Lou Thesz, Orville Brown, Bill Longson, Buddy Rogers, Mildred Burke, June Byers, The Sheik, Gorgeous George – but they also had a number of local favorites. I’m hoping I can scare up some descendants of some of these folks or fans from those long gone days who have stories to share. Blacksmith Pedigo – Wrestler and later referee. 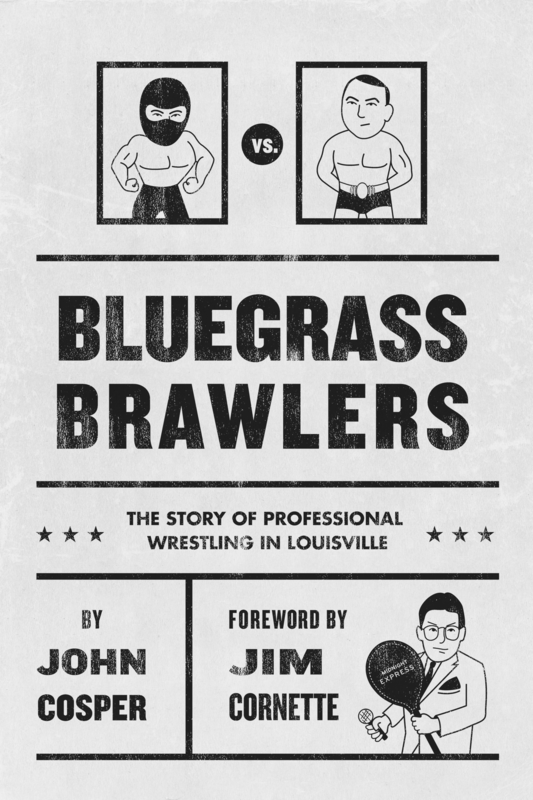 Kid Scotty Williams – Wrestler, referee, and later promoter in Owensboro. Wild Bill Cantrell – Wrestler in the 30s. Billy Love – University of Kentucky athlete and wrestler. Fred Davis – Louisville native, played football at Alabama and then for the Chicago Bears, wrestler. Stu Gibson – New Albany HS grad, U of L grad, wrestler. Sgt. Buck Moore – Louisville Police Department, artist, and wrestler. 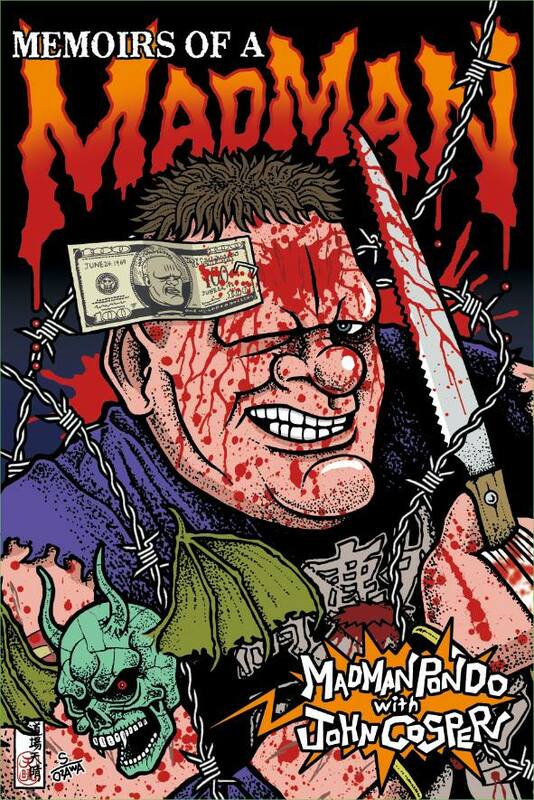 Mel Meiners – Wrestler, aka The Schnitzelburg Giant. Charley Schullman – Long time timekeeper for the Savoy Club and Allen Club. George Lewis – Legendary ring announcer for boxing and wrestling in Louisville. Francis and Betty McDonough – Francis owned the Allen Club from 1947-1957. Betty was his wife and worked in the ticket office. If you have heard any of these names and know stories, please get in touch! 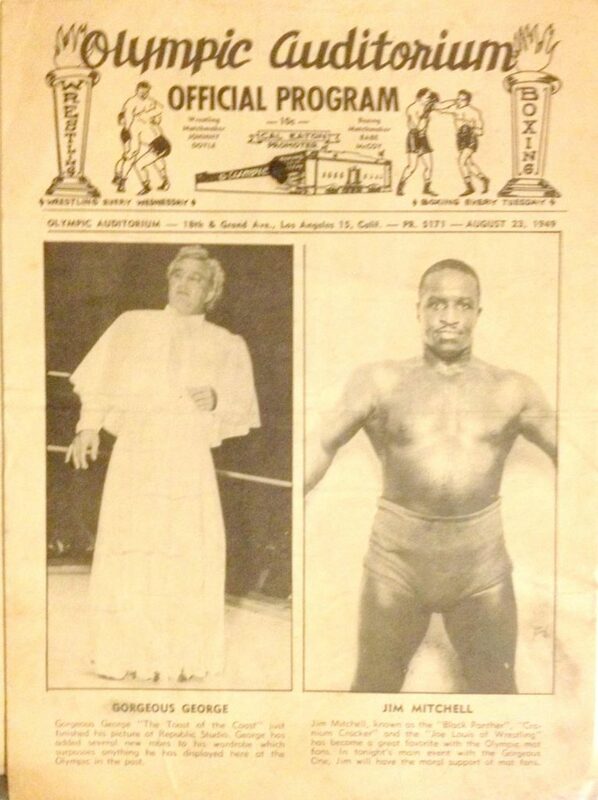 In 1949 professional wrestling was struggling. 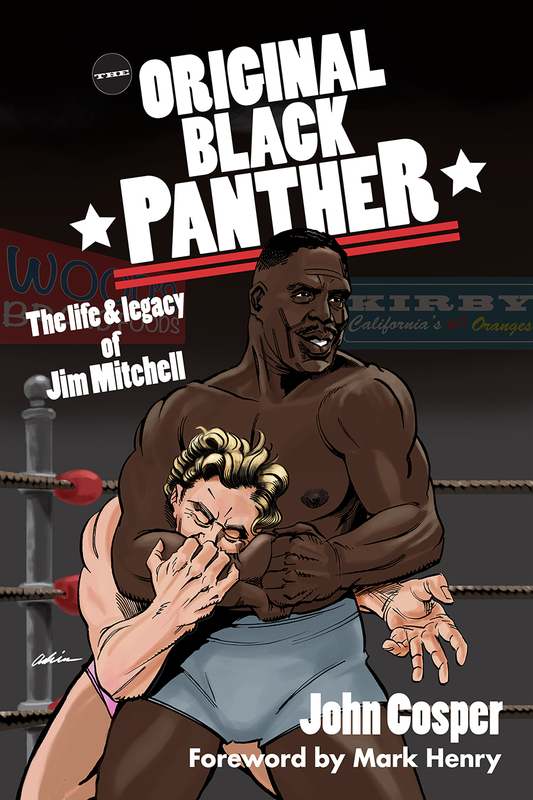 Fan interest was waning, box offices were down, and the business appeared to be on the ropes. A year later, 18,000 people packed Madison Square Garden, bringing in $52,000 in just once night. What caused the dramatic turn around? Television. So goes the March 12, 1950 article from the Louisville Courier-Journal, announcing that wrestling was coming to the local air waves. 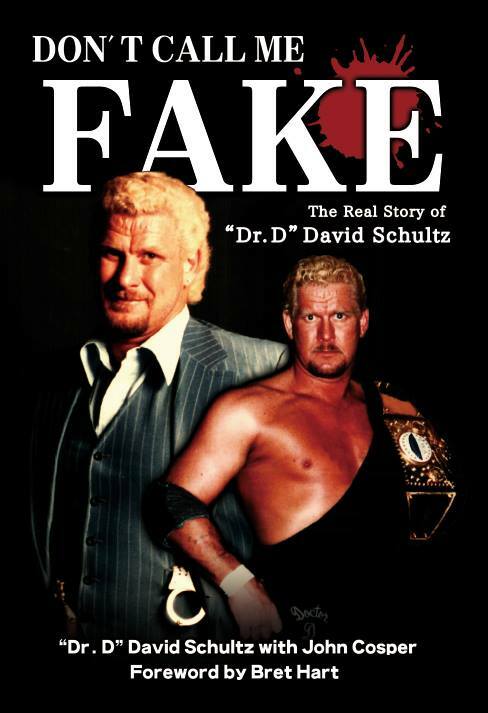 From New York to Chicago to Memphis, wrestling had become the number one program on television and the number one reason many folks were buying their first TV set. 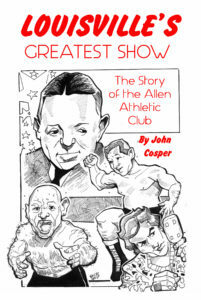 Twenty years before Memphis Wrestling took the city by storm, WHAS struck a deal with Francis McDonough and the Allen Athletic Club to broadcast wrestling live every Tuesday night. The Allen Club was in its fifteenth year, and McDonough was in his third as the man in charge. Founded by Heywood Allen, Sr., the promotion ran wrestling shows almost every Tuesday night, usually at the Columbia Gym. WHAS went live on March 27, 1950, and the Allen Club appeared on television for the first time on Tuesday night, March 28. 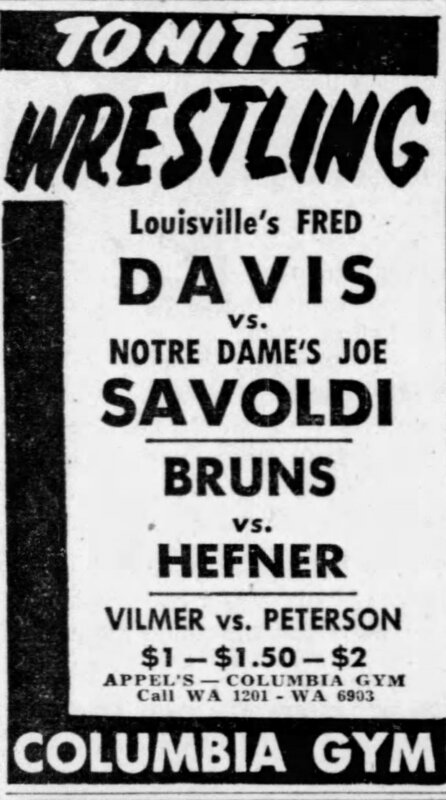 Fred Davis, a Louisville native who also played for the Chicago Bears, appeared in the main event that night against “Jumpin’ Joe” Savoldi. Fear Brewing Company became the first program sponsor. Television proved to be a boon for the Allen Club just as it was in every city where promoters were willing to give TV a chance. Despite initial fears that TV would cut into their ticket sales, the live broadcasts actually increased awareness and interest in the sport. McDonough brought the biggest names in the sport to town for the Tuesday shows, including the biggest television star of them all, Gorgeous George. 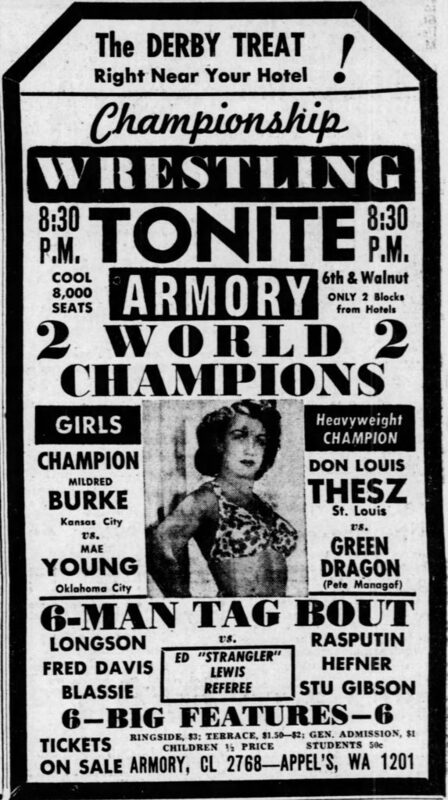 Just a few short years later, McDonough would be hosting the largest crowds ever seen in Louisville for wrestling at the Jefferson County Armory (later the Louisville Gardens).